Both in lean times and good times we all like to surround ourselves with pretty things. Especially when we look at our reduced resources and realise that they will not earn us anything in the bank ! The desire to acquire something we always coveted is more than justified. We have a good selection of different treasures in our website to tempt you! Our descriptions are as comprehensive as possible, but we will be happy to supply more detailed information on request. Get in touch through this site and open a door to a fabulous world of colour and imagination. Fashions come and go, but good taste is a constant. 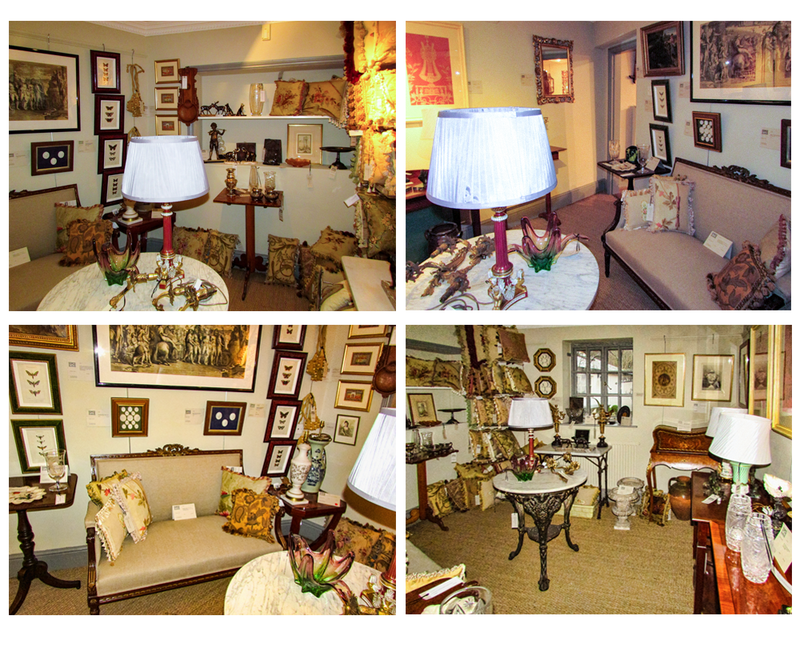 Through the years we have exhibited at all the major Antique Fairs in England at all three Olympia shows, and the Decorative Antiques and Textile Fair, Decorex, and Earls Court to name a few, in the USA at the Merchandise Mart Chicago Fine Art and Antiques Fair, Aspen and Atlanta, Palm Beach and the Armory Fairs in New York. This has shown us that our clients will always be tempted by our interesting and imaginative merchandise, no matter what the current decorating “style”. 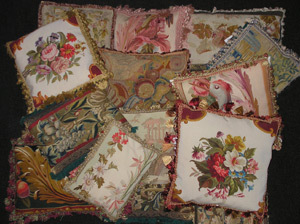 Antique textiles blend happily with all settings and furniture whether modern, vintage or period. Our stock ranges from the 17th to the early 20th centuries, hopefully to cater for all tastes. Our reputation with our clientele has been built on our extensive knowledge and experience in our field, always ensuring that the goods we sell are of the highest quality and in excellent condition for their age. We hope our website provides you with inspiration, and encourages you to return again to view new offerings as they appear.